History is a fundamental value for Cuervo y Sobrinos. The Swiss brand with a Latin soul finds its own archives to be an inexhaustible source of inspiration that imbues its collections with a “classic”, timeless style and gives character to shapes and models from the past. Once again, among this year’s new releases at Baselworld there will be an Historiador – icon of the brand, created in the Fifties. 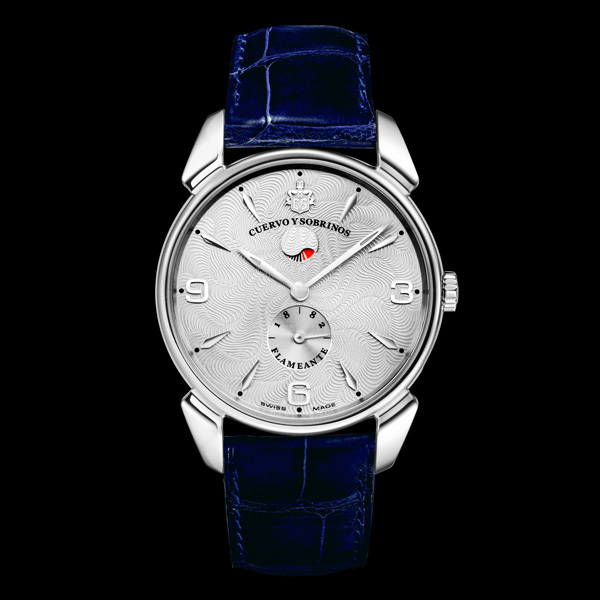 This time the somewhat “vintage” design, extremely elegant and typical of the Historiador, is combined with manually wound movements with power reserve at 12 and small seconds at 6; an ultra-slim watch that symbolizes the spirit of the epoch also thanks to a dial decorated with the “guilloché flambé” design typical of the 1950s (from "flambé" comes the name of the model, "Flameante"). Intriguing, endowed with finesse and refinement, the new Historiador Flameante Reserva de Marcha makes use of a technical-aesthetic detail making it unique: the power reserve indicator at 12 is a rotating disk instead of the conventional sphere. This idea confirms an important component of the brand’s philosophy, headquartered in Capolago, Switzerland: continual technological innovation at the service of aesthetic harmony and balance. 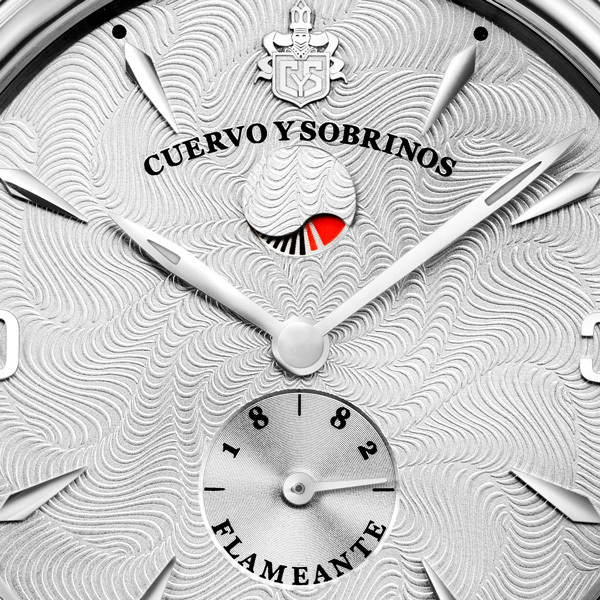 Many other details make the “Reserva de Marcha” a most appealing wristwatch. 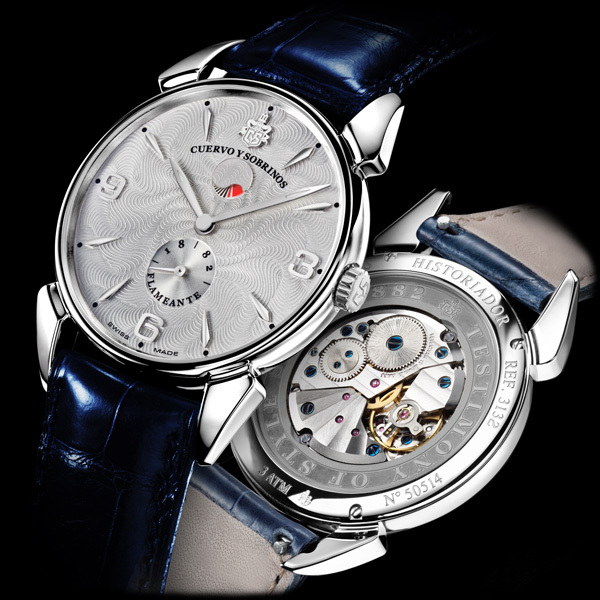 Beneath the transparent caseback in sapphire crystal one can admire extremely high level finishes that underscore the brand’s striving for perfection: the platen decorated with “Côtes de Genève”, the balance bridge in a beautiful anthracite color transmitting technicality and dynamism to the movement and, finally, the classic azure screws. The words “Testimony of style since 1882”, engraved on the movement perfectly summarize the spirit and class that for more than 130 years have always distinguished CyS history. Completing the look is a strap in premium Louisiana alligator. The result needs no further comment: a timepiece that’s classic, almost nostalgic in flavor, that will not fail to win over whoever loves good taste and understatement.